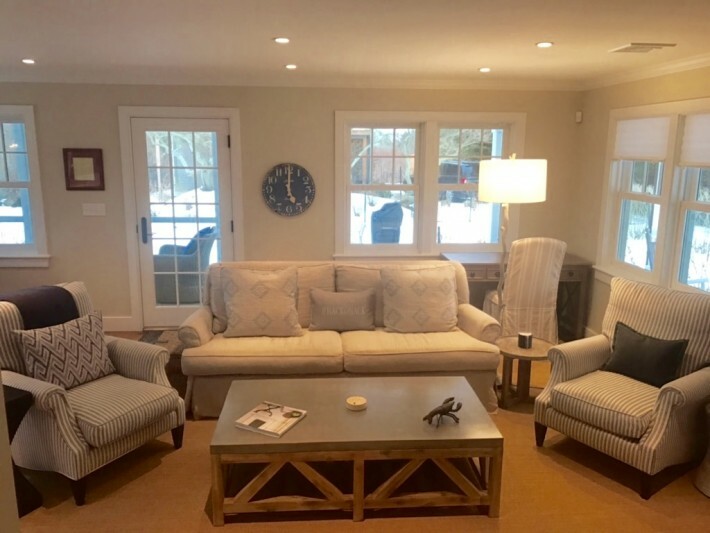 This beautiful two bedroom home is a rare find! 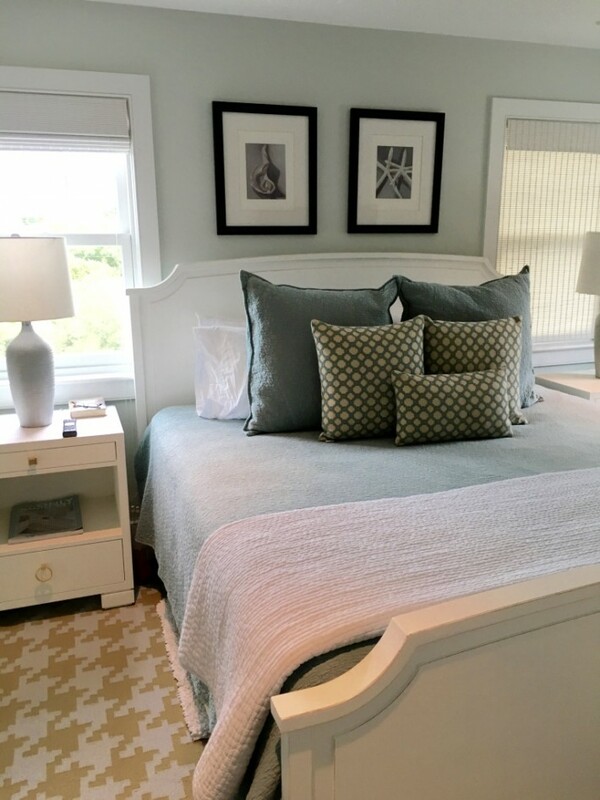 Having been recently re-furnished and re-appointed by a new owner in a sophisticated, coastal chic aesthetic, guests will enjoy the idyllic, highly coveted location on a quiet street: it is very close to the Westmoor Club, a pleasant walk to town, Brant Point and Steps Beach, and is an easy drive to the west end of the island. 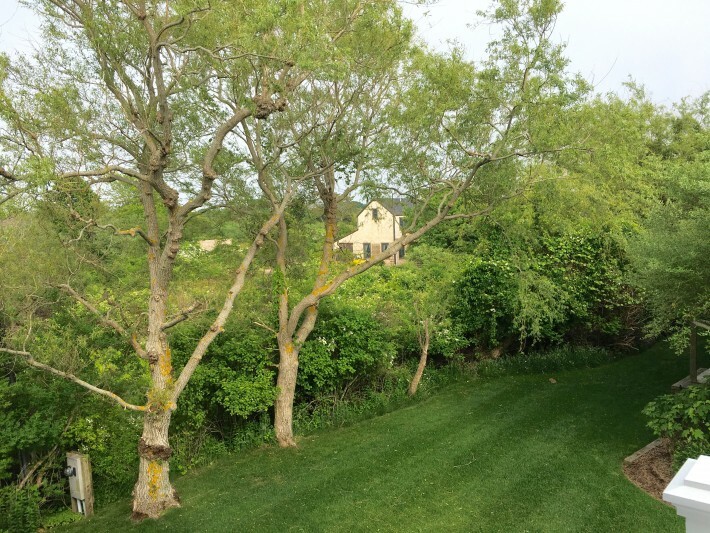 The nicely landscaped yard, and the fact that it is nestled in and around conservation land makes this a pleasant and peaceful setting - removed from the hustle-bustle of town, while within easy access. 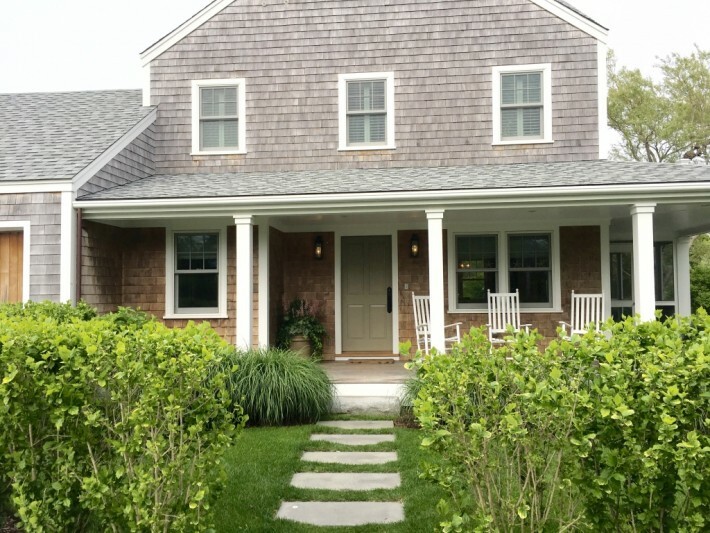 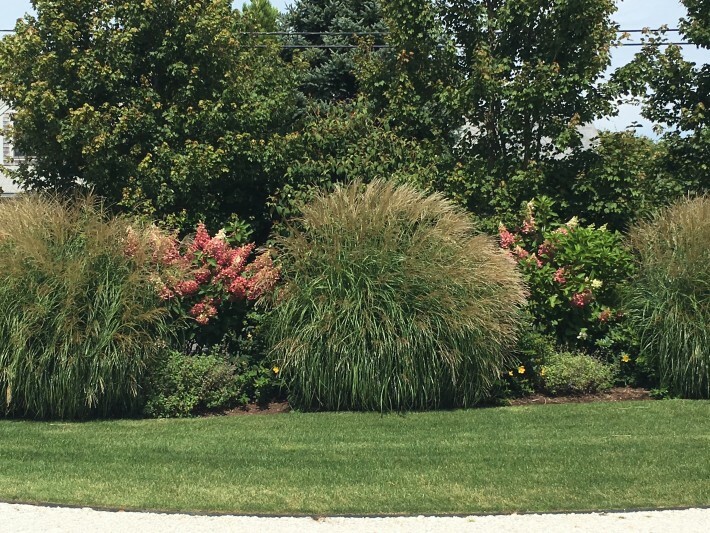 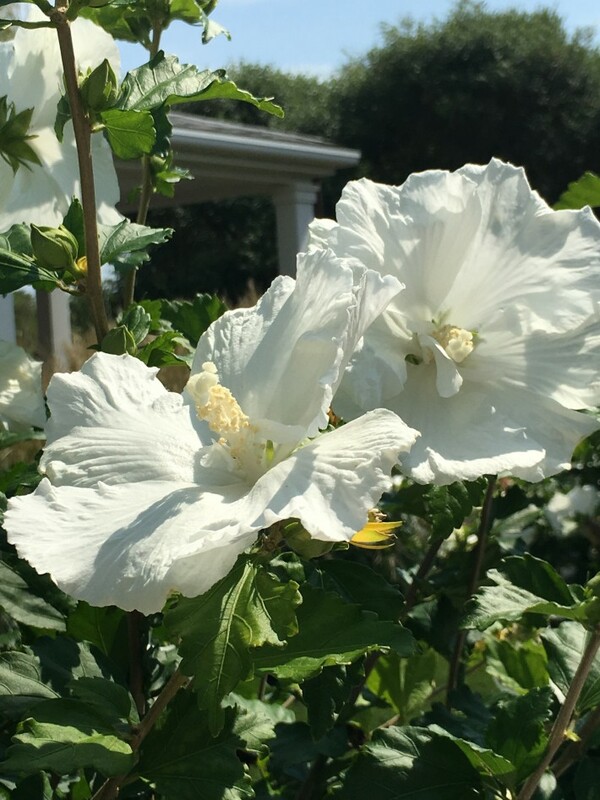 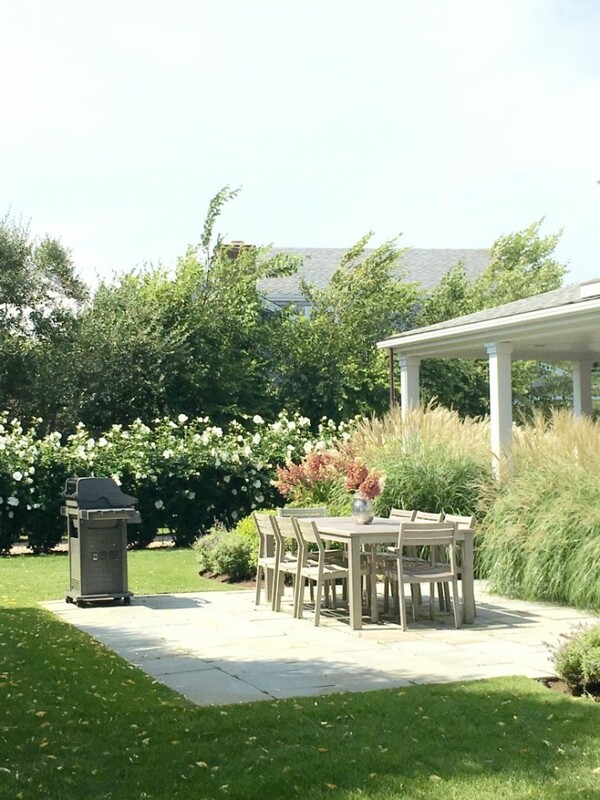 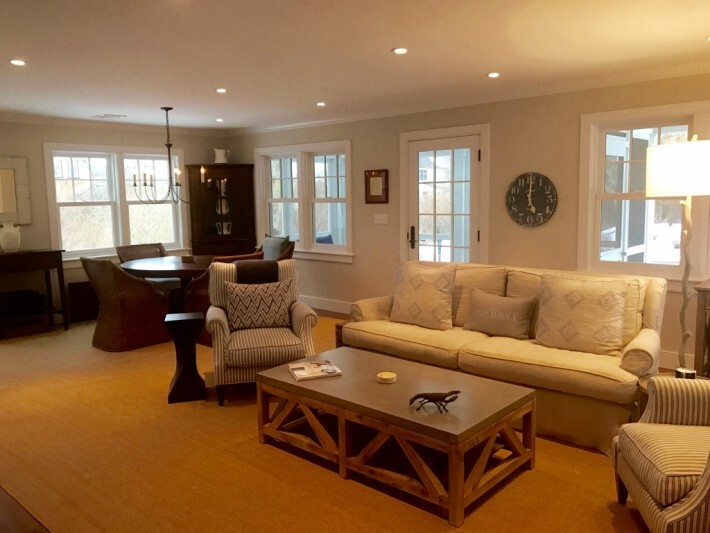 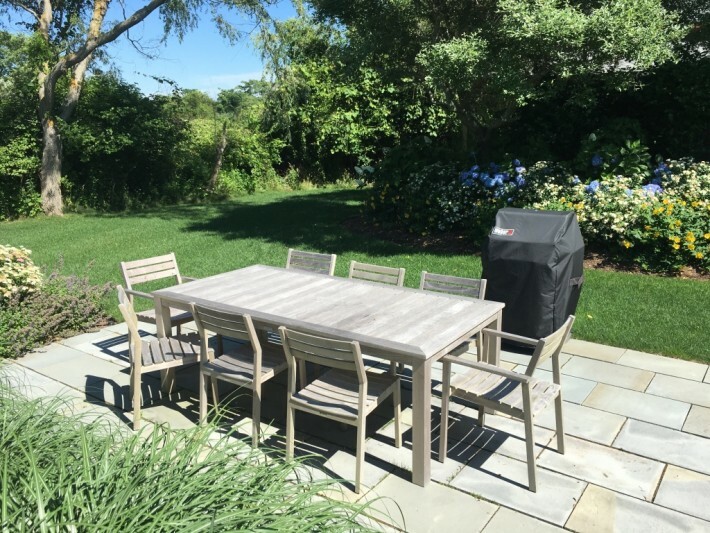 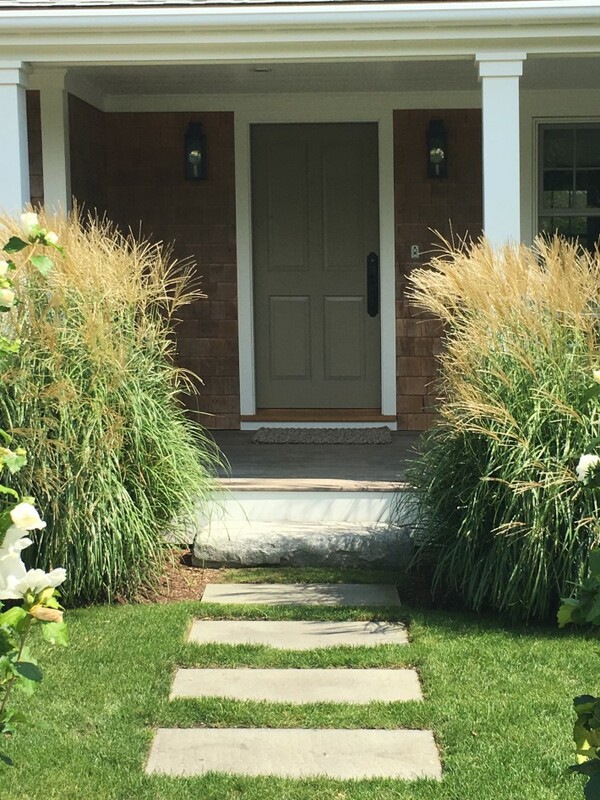 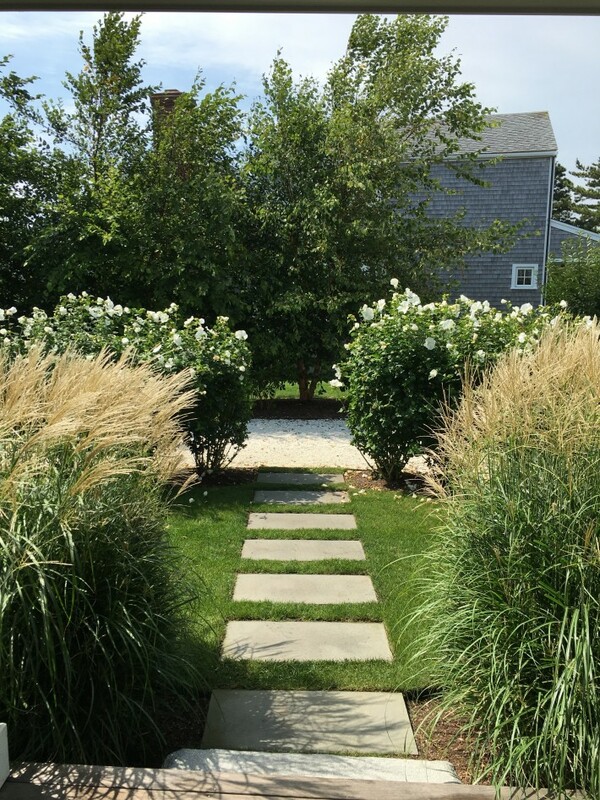 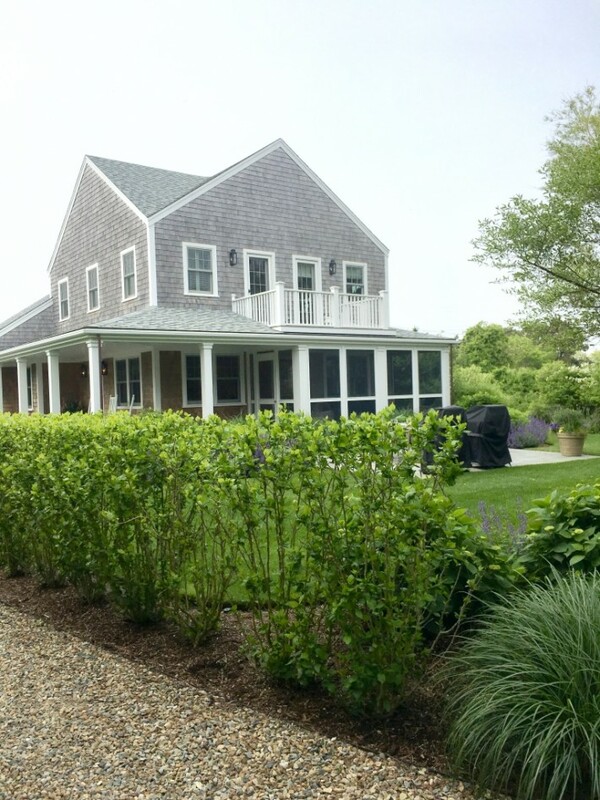 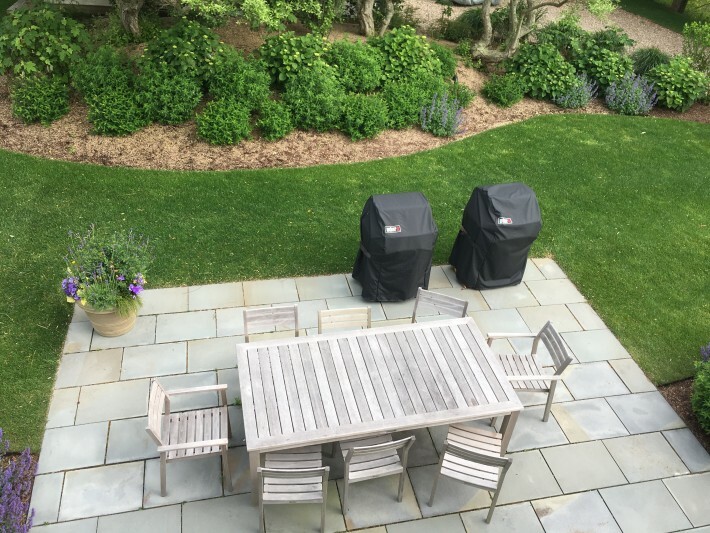 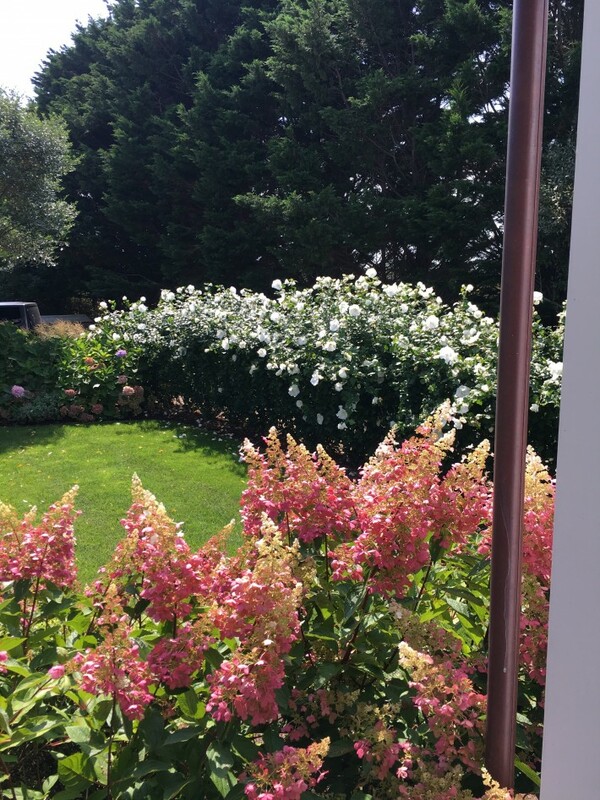 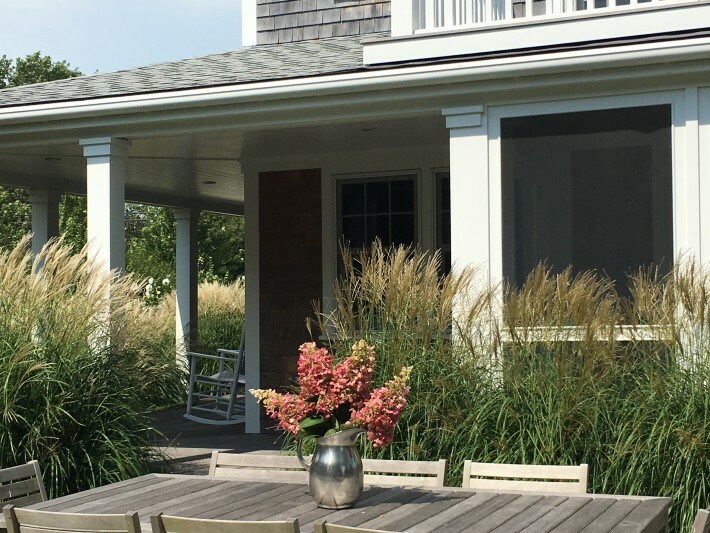 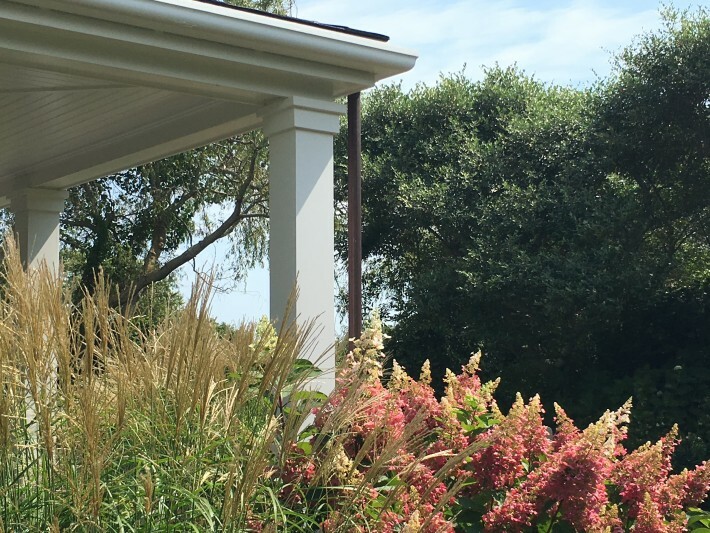 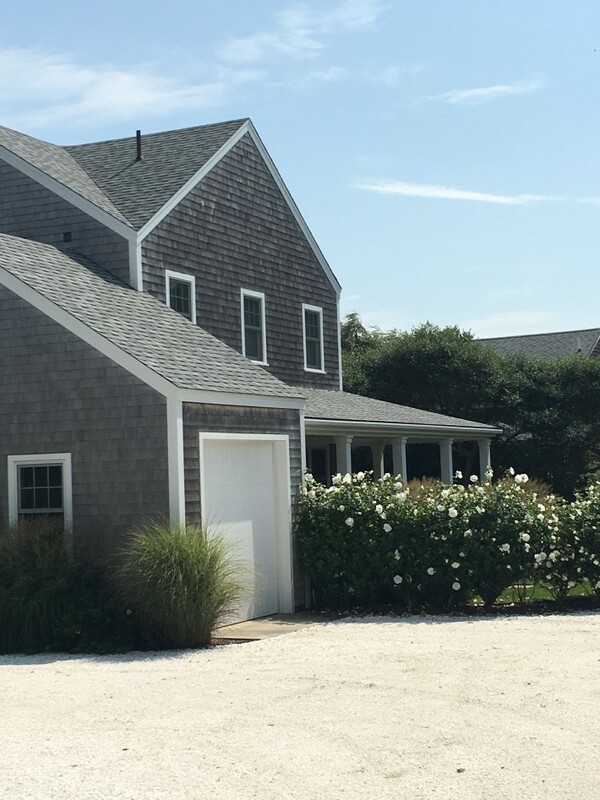 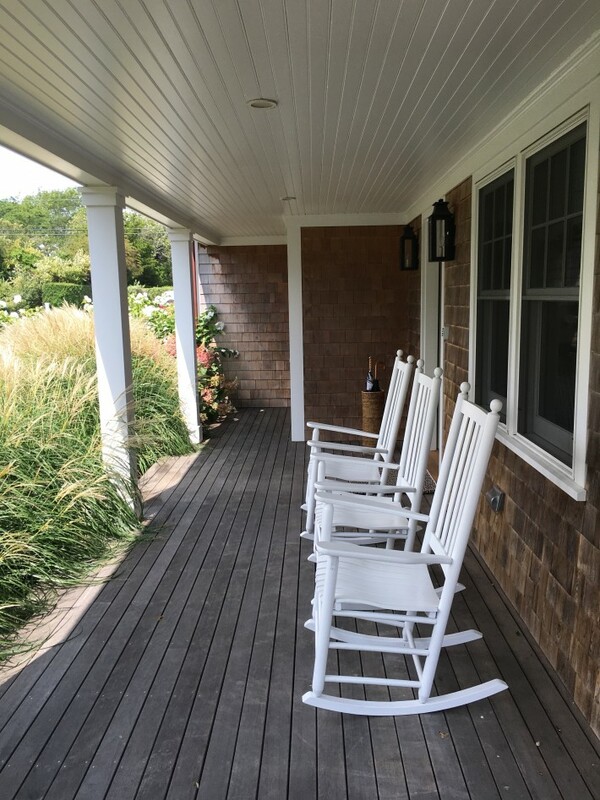 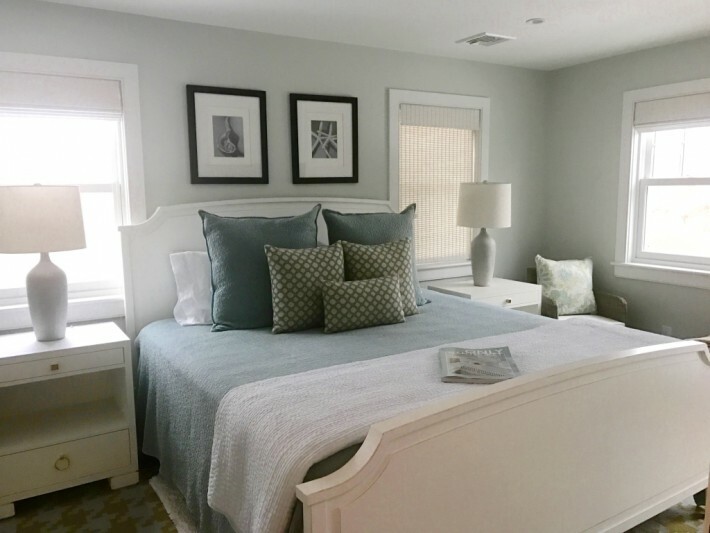 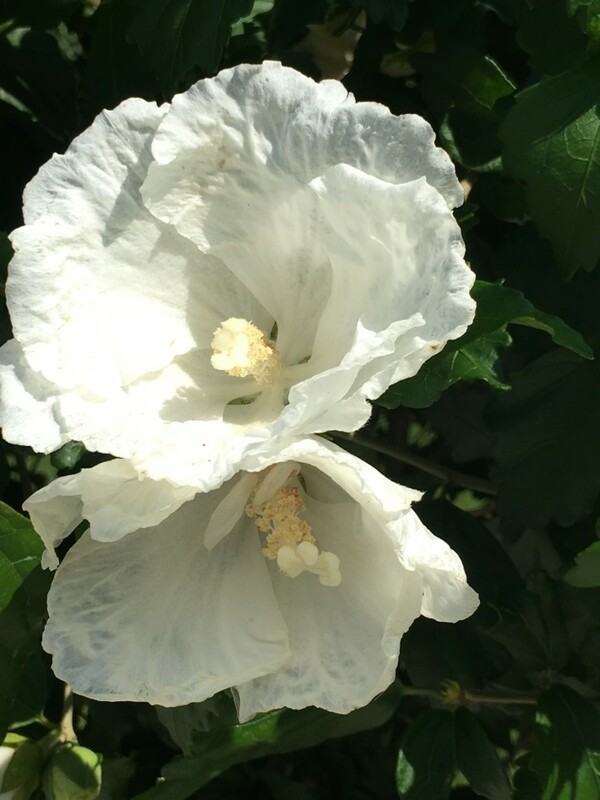 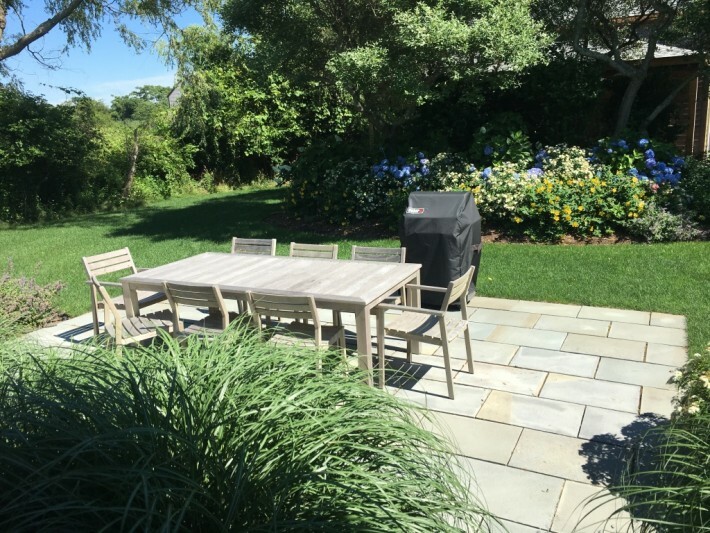 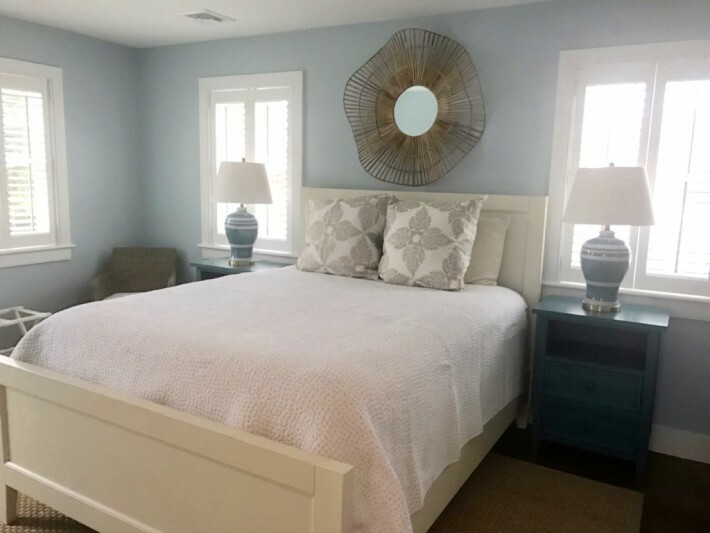 It is perfect for a relaxing getaway on Nantucket! 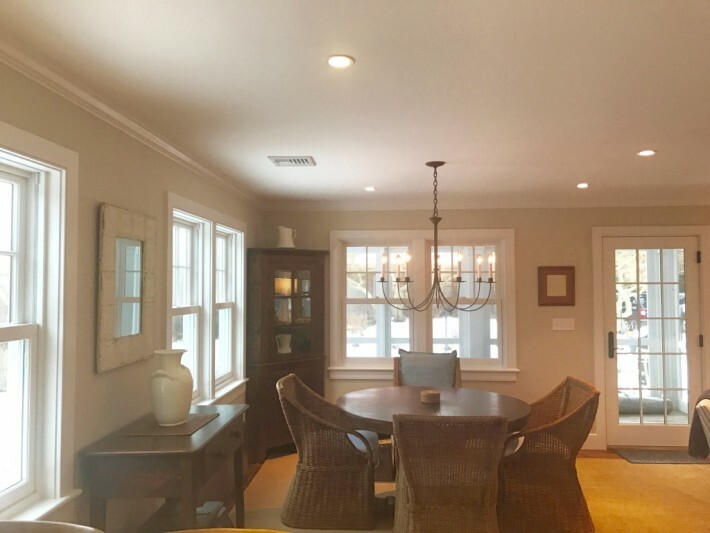 A gracious wrap around porch opens to a living room and dining area, with wonderful natural light and comfortable seating. 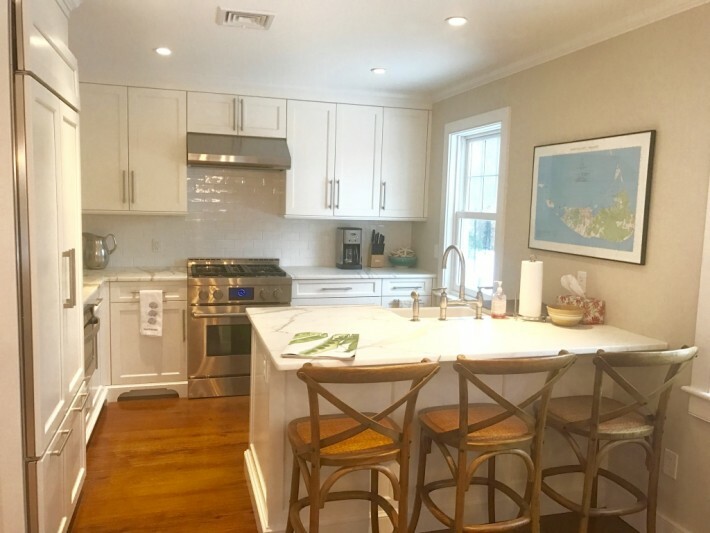 There is a screened-in porch, offering a lovely place to dine or enjoy some après-beach time, and an open kitchen with marble counters, high-end appliances, and a breakfast bar. 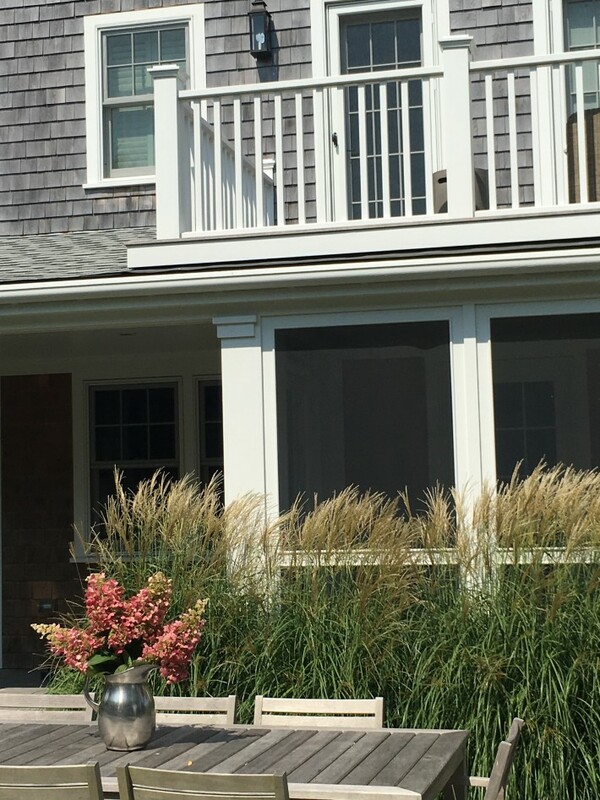 Both en suite bedrooms are on the second floor and enjoy a balcony overlooking the bluestone patio. 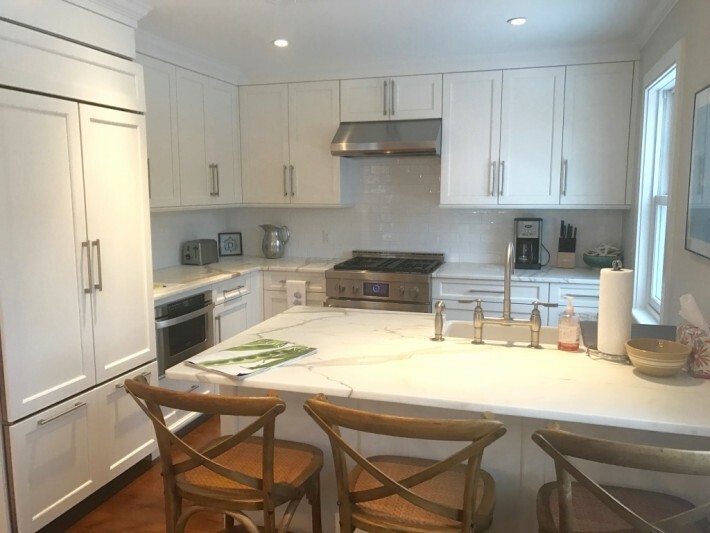 This property is perfect for the discriminating traveler and can be rented along with the one-bedroom house in the rear, depending on availability.